Supply chain and operations is the third most active area implementing AI technology, and companies are seeing revenue gains from these AI investments. 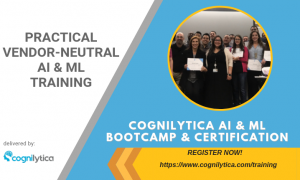 Companies that are adopting AI are seeing dramatic improvements in their ability to respond to customers, suppliers, and the changing environment. AI technologies can improve warehouse management, improve shipping time and order fulfillment, help sales teams determine current availability of products for pending quotes and orders, and more. 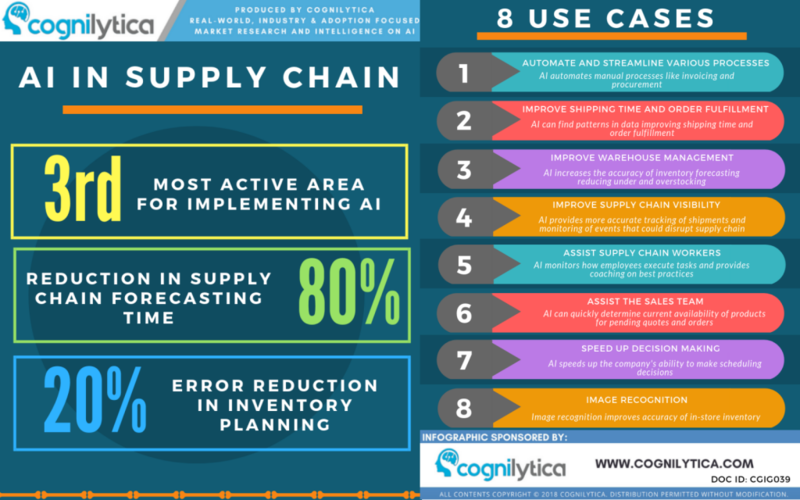 In this infographic, Cognilytica shares 8 ways to incorporate AI into the supply chain.